When did the B.C. legislature become a nest of greed and corruption? Time to find out what previous Speakers hid from the public. Isn’t it amazing what comes out when the Speaker of the Legislative Assembly is not beholden to a political party? Darryl Plecas, MLA for Abbotsford South, was booted out of the BC Liberal party for accepting the job of Speaker. That makes him the first Independent to serve as Speaker since 1902. 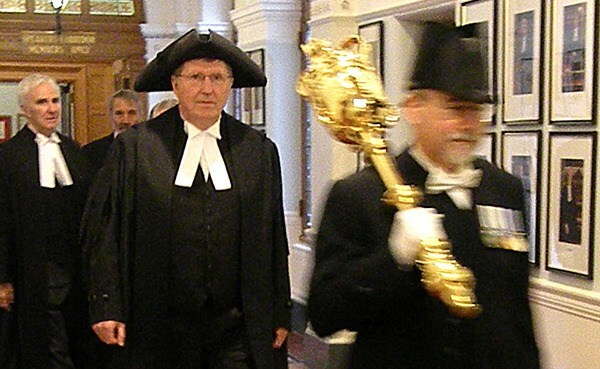 Every other Speaker of the B.C. legislature — the person who is supposed to ensure impartiality in debates and proceedings — has been an MLA from the governing political party. What problems could that lead to? It seems like we are finding out. None of these allegations have been proven in court, but by now Plecas’s laundry list of misdeeds by B.C.’s sergeant-at-arms Gary Lenz and clerk Craig James are well known. If you haven’t read the report, I encourage you to go through all 76 pages. It reads like a novel — captivating, with twists and turns that will make make you gasp — until the nausea sets in when you realize how much of our money they spent on luxurious trips, lavish personal items (like a brooch for Mr. Lenz’s wife and a $1,100 suitcase) and eyebrow-raising salary increases, pre-retirement payouts and life insurance claims. This kind of deep-seated entitlement, arrogance and greed takes years to cultivate. It is highly unlikely that Lenz and James only started their spree after Plecas became Speaker. The situation speaks to a deeper, darker rot that has set into the foundations of our democracy. Like black mold, it has been allowed to fester in the walls of the legislature itself. It did not get this bad overnight. The Speaker of the Legislative Assembly is responsible for signing off on the expenses and human resources requests of other senior officers of the legislature, including the Clerk and the Sergeant-at-arms. As Speaker, Plecas was invited on trips with Lenz and James, where he was able to witness their spending habits first-hand. He was also able to review expenses they claimed, like the purchase of a wood splitter and tool trailer. All that spending by legislature staff is normally shielded from public disclosure. In other words, the Speaker is in a unique position to blow the whistle on the Clerk and Sergeant-at-arms. But Plecas has only been in office since September 2017. Who was responsible for overseeing Lenz and James before? The previous Speaker, Linda Reid. Who is not an Independent, but rather a member of the BC Liberal caucus. Plecas’s report only includes the records he was able to access, from April 2017 to December 2018. However, there is a strong suggestion this behaviour predated his arrival in the Speaker’s office. Linda Reid would have signed off on this nonsense for four long years. And it goes back even farther. The man in charge at the time was Linda Reid’s predecessor Bill Barisoff, a long serving BC Liberal MLA from the south Okanagan. Barisoff served as Speaker for 8 years, from 2005 through to his retirement in 2013. His name comes up repeatedly in Plecas’s report. It was under his watch that the first $257,000 “retirement allowance” was paid out. There is another story of Lenz and James ordering other staff to load $10,000 worth of liquor in a truck, along with a legislature desk and chair, then driving to Penticton to deliver these items to Barisoff’s home. Travel expenses for James’s visits to Mr. Barisoff continued into 2018. Bill Barisoff, Speaker of the B.C. Legislature from 2005 – 2013. And Barisoff is not the only ex-politician that Craig James has visited on the taxpayer’s dime. For some reason James visited Christy Clark three times after she stepped down as premier — including a trip as recently as May 2018. I’m not certain what the Clerk of the legislature needed from Christy Clark or Bill Barisoff, but those conversations may not have been completely business related. It seems James developed close relationships with members of the BC Liberal party. Plecas writes in his report: “Mr. Lenz expressed the view that Mr. James was not impartial and that he was in fact very close with the BC Liberal party.” Indeed, the BC Liberals gave him his job as Clerk — and his job before that: Chief Electoral Officer. In 2010 James was serving in the legislature, ranked number four behind the job he holds today. Then-Chief Electoral Officer Harry Neufeld’s term was set to expire in June 2010 and the speaker at that time, Bill Barisoff, told Neufeld he would not be appointed for another term. It is up to a special committee of the legislature to recommend the next Chief Electoral Officer to the Lieutenant Governor. However, if they can’t come to a decision before the legislative session ends, the government has the power to appoint an interim Chief Electoral Officer. As it turned out, this committee met only once before the Spring 2010 session ended and did not come up with a recommendation. So, Bill Barisoff appointed Craig James. This was right in the middle of the Stop HST campaign. Following the success of the HST campaign, there were several campaigns to recall BC Liberal MLAs. None of those recall campaigns were successful, but the one that came closest targeted Ida Chong, BC Liberal MLA for Oak Bay-Gordon Head. The campaign against her was delayed by a week because Elections BC rejected the original petition wording, saying it went over the 200-word limit. The person counting those words? Craig James. Under a new policy written by James, “MLA” was counted as five words, and “HST” as three. James was appointed back into service of the B.C. Legislature as the Clerk after serving his brief stint as Chief Electoral Officer — leapfrogging other, more senior candidates. Despite supporting a unanimous decision to place Lenz and James on suspension, BC Liberal leader Andrew Wilkinson has been publicly critical of the Speaker. His party has taken every opportunity to roast Plecas, including after the release of this report. It all smells a bit desperate. BC Liberal house leader Mary Polak spent the past couple weeks publicly criticizing Plecas for not releasing any information about Lenz and James. Now that the information is public, she’s asking why he didn’t come forward sooner. What about the people who held the job before Plecas? Why isn’t Mary Polak calling for their heads? Well, because at least one of them is still part of her caucus. Linda Reid is the BC Liberal MLA for Richmond South Centre. Plecas’s report contains one troubling passage that seems to reference Linda Reid. He says a junior staffer was fired about raising the alarm about a BC Liberal MLA double-charging for travel expenses. According to Plecas, Lenz may have helped cover for the mystery MLA. 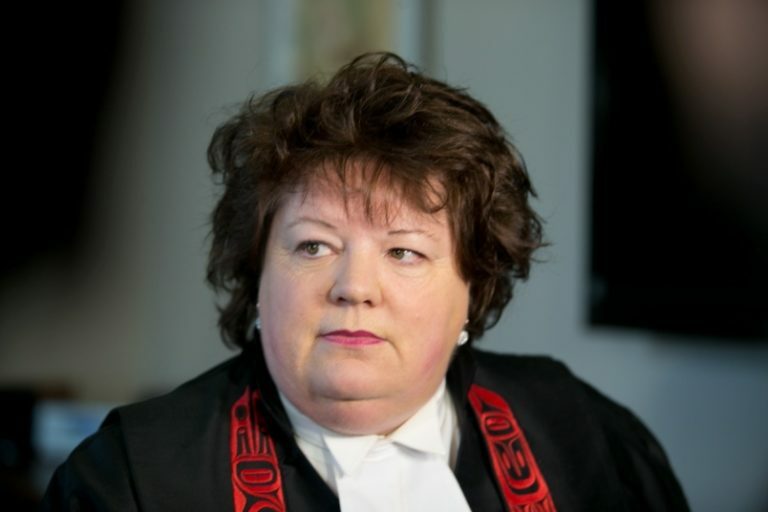 Linda Reid, Speaker of the B.C. Legislature from 2013 – 2017. The BC Liberals are clearly feeling uncomfortable. Something happened during their sixteen years in office that produced a fertile breeding ground for crime and corruption. This most recent example is only one symptom of a larger infection. Look at our province: gangsters laundered billions of dollars of drug money through casinos and an inflated housing market, while BC Liberal ministers looked the other way. Some even cashed in on the housing crisis. Meanwhile, BC Liberal donors hoovered up huge government contracts. Big polluters secured project permits and exemptions from fines after writing big cheques to Wilkinson’s party. How do all the pieces fit together? Right now, we don’t know unless someone like Darryl Plecas or Connor Gibson breaks ranks and spills what he knows. We need to start putting witnesses under oath and compelling the release of evidence in a systematic fashion. Clearly, something is deeply rotten in our province. It’s time we get to the root of it. Excellent article. In fact I wish for forensic audits across the board if that would help rid BC of its corrupt politicians and any practices still in place. And resulting criminal charges would be welcome as well. Any voter in BC would be fired and then be trying to stay out of jail were they caught doing this! Disgusting performances – thanks to Mr. Pleas for bringing this report into the public attention! We must pursue this, to do anything less is a travesty of justice and an insult to all British Columbians. While some might find these things disturbing and rightfully so, what concerns me most is that Plecas went along with the scheme – if that is what it was – when he “discovered” it – why did he not then and there ‘blow the whistle.’ This story will grow legs and then look for the rats to slink of a sinking ship set aflame by misconduct in and around every turn. Incidentally, there are cells deep in the bowels of the Legislative Buildings that might be useful, again, as they were back in the day … . I’ve read in the Times Columnist that Plecas did go to the RCMP when James and Lentz invited him to go on that trip, and the RCMP told him that if he withdrew it would probably alert James and Lentz (during their investigation), and that he should go and observe what would happen. I 100% agree with D.Morrison. I have been asking dogwood to push for a forensic audit for 2 years. I know that they do their best, but still need bigger voices on this issue. Placas (reluctantly) travelled with the two, to validate and take note as to how they were expensing various items. He then needed time to write up his detailed 76 page report, obviously digging deeper / researching other expensed items, than what those trips abroad revealed. We owe Plecas a huge thank you !! What a breath of fresh air, this journalism by Lisa. If you read the detailed reports you will find that Plecas acted only after speaking with RCMP who were investigating and who advised him to “go along” so as not to alert Lenz and James that they were under suspicion. Try to keep up, and go to the primary source, not liberal funded reporting. CORRUPTION;FLOURISHING AND THRIVING IN BC. AND AOK TO GO AGAIN AS THE ONE THING THE DIFFERENT PARTY POLITICIANS ALL DO AGREE ON IS HOW TO HIDE THEIR CORRUPT DEEDS. WHY??? BECAUSE THEY ALL DO IT. IT SICKENS ME WITH DISGUST!! ACCOUNTABILITY: NONE. JUST WATCH!!! YES ALL THE SEWER RATS (NOT ME,.NOT ME) SCATTERING AND RUNNING LIKE THE PATHETIC COWARDS THEY ARE. LYING, DECEIVING, SHAMELESS, GREEDY ARROGANT GARBAGE. BUT MORE MILLIONS, BILLIONS OF SHAMELESS WASTE AND WRECKLESS DECISION MAKING, ALL SERVING THEIR PERSONAL BANK ACCOUNT. AND EVEN IF THERE IS NO DOUBT OF THEIR CORRUPTION,… NO ACCOUNTABILITY WITH MORE PATHETIC LIES WHILE THE TAXPAYERS CONTINUALLY FOOT THE BILL. THESE POLITICIANS NEED TO BE PUT IN JAIL. WE NEED A BIG TOILET FLUSH AND ACCOUNTABILITY TO THE PUBLIC. BC AND CANADIAN POLITICIAN DISGUST ME. TOO FAR GONE AS WITH NO ACCOUNTABILITY,..SO OF COURSE IT CONTINUES. AM ASHAMED TO BE CANADIAN. Follow the money. Remember Bingo gate? It goes waaaay back. Drill down hard. The Liberals are soooo corrupt. Right to the top. The law of the State can be in place, the legislation can be in place, the international treaties ratified by the state member can be in place, but when the judicial officers of the highest court of the land who are appointed by the state to protect the citizens liberty and freedom ignores and fails/refuses to uphold the litigants fundamental rights and rule of law and the treaties ratified by the state and willfully decline to uphold the constitution by placing themselves above the rule of the law to protect the illegal acts of lower court judges and the interests of the insurers and became willful violators of the Constitution instead of protectors of the Constitution then there cannot be any expectations of due process of law or a fair and impartial trial, or justice, or relief from the Canadian courts by the Canadian citizens. Problems we are facing today are the results of our own creation and only we can fix it by demonstrating peacefully in front of the courts in large numbers and demanding the removal of unethical behaviors of judges from the office. The pictures of poverty we see on TV and Newspapers points a finger at us as the members of the human families and tells us that we are the real culprits because we have turned blind eye to the Injustices and have allowed injustices to be committed on the helpless and innocent people by 0.0005% of the world’s population whom we the people have put in power and we have allowed the injustices to flourish on the entire population of over seven billion people of the world.